Robbie T & the Mayan Prophecies are born out of over 20 years of musical experience. 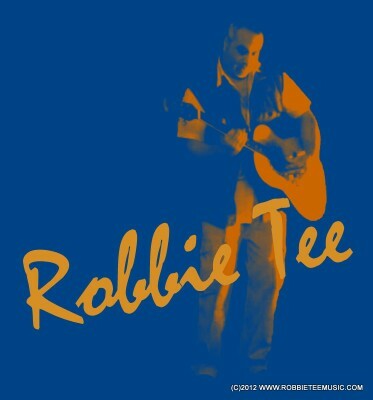 Robbie Tee a typical hard working down to earth Taurean, started out as a drummer in Cape Town, South Africa. Moving onto singing lead vocals in various little known local rock groups in and around Cape Town, Robbie then teamed up with “Warlord”, a group the local press deemed as the “Best hard rock band in the land”. The band concentrated all their efforts on live performances in a period when punk and new wave ruled the airwaves. Music journalist, Mick Berry, described the band as being way ahead of it’s time for the S.A. music scene. At the end petty bickering and member changes led to the band breaking up. It was then that Robbie finally laid his hands on a Gibson Les Paul Gold Top, late into the 80’s. This closet love affair was to be interrupted often over the years, but never ceased. During that period Robbie met up with the late John Mair, a devastatingly good guitarist who went on to form the highly acclaimed South African pop outfit “The Sweatband” with ex Warlord bassist Dieter Stutz. John and Dieter guested on Robbie’s “Candy-O” project with drummer Gary Grevler, keyboard player Malcolm Ormond and guitarist Barry Heydenrych. Culminating in the 1982 single “Flashback”. It was John’s amazing guitar playing on the B-side of that single “Thunder and Lightning”, that years later would become Robbie’s inspiration to finally conquer the electric six string sound. After “Candy-O” Robbie went on to form “Weekend” with guitarist Nic de Bruyn, but after a short spell the band broke up. Robbie and keyboardist Malcolm Ormond then launched “Secret Level” with the now world famous jazz/blues guitarist Jonathan Butler guesting on their studio recordings. However destiny wanted Robbie to move on to another country. The year was 1988. The country was Italy. A critically acclaimed indie artist with a solid cult following, Robbie T & the Mayan Prophecies have released “Still Left Handed and Naked” at the end of 2009 and will release “Brave, New and…Absurd” in early 2011. Both albums being self produced under the independant Indy Alley Record Label on a shoe string budget, but with undeniable dedication and love from everybody involved. Independent radio stations all across Europe have started picking up on the group and Robbie’s solid guitar playing is also making waves on the web while the group build up their fanbase. Robbie T’s main objective is keeping guitar music alive in a musical era dominated by hiphop and electronically produced music. He is particularly interested in the recent comeback of vinyl records, something he has always believed in. “It is the only acceptable mechanical media for listening to rock n’ roll” says Robbie T.
The “Brave,New…and Absurd” album has so far totalled 106,000 sales between digital and hard copies. An astounding success for a truly indie artist in every sense of the word. Robbie works his craft with a little help from associates at Indy Alley Records and the up and coming Jamsphere Magazine, Radio and Music Network.